About wcloudx (Kumo) updated! | Wcloudx (kumo)'s Blog - Ramblings about Figures, Gunpla, & More!! Just your typical Figurine and Gunpla collector out there. Usually (In the internet) I’m known either as wcloudx or Kumo, but people who knows me refers me by Jonathan or Jon. I’m an Indonesian and currently residing in Singapore. Right now I’m working freelance as a Flash Programmer and App Developer for the iPod/iPhone/iPad. This blog was originally created in Livejournal around mid-2006 and was intended for my life in Final Fantasy XI and other related stuffs. I was really crazy about the game at that time, in the end I’ve decided to move over to WordPress for better service in early January 2008. During that time, I intended the blog to cover on FFXI, Anime, Figurine, and Gunpla, but as my interest in figurines grew stronger, most of the Blog content posted became solely dedicated to Figurine related news, as what you can see at present time. I will still try my best to insert non-figurine news from time to time though. All news are updated daily. As my collection grew larger, I’ve also decided to post reviews on them. Currently I’m using Nikon D90 to do all my reviews, previously I was using Nikon D40. I’ve also created my own “Mini-Studio” for the photoshoot, using minimal funds. If you are interested in my setup, you may refer to this Post. I’ve made some adjustments since then, but it’s pretty much still using similar setup. I’m totally open for link exchange. If you want to exchange links with me, just leave a comment in this post, including your Blog address and I will add them as soon as possible. If you have a Banner that you want me to use, also include it together in your comment. I would prefer the Banner Width to be within 200px, can be less but no more than that. Length wise it’s up to you. Thank you for your understanding. I have also prepared some Banners in exchange. Feel free to use them. You can pretty much contact me through this Blog by comments. Other alternatives, I’ve also owned a Twitter and Youtube account. Hmmm, most of the tutorials I learned from are from hobby magazines like “Hobby Japan” and “Dengeki Hobby”, so I can’t really give you an exact link. Hey there, how goes the building of Gundam 00 1/100 Virtue/Nadleeh ? I’m eagerly awaiting how it turns out and your pictures of it. Actually, a fellow blogger of mine also had the same problem as you do ^^; He’s using WordPress also. All I did was just attached the image using the IMG tag, under “HTML”, not “VISUAL”, when posting a new entry. Otaku.fm will then displayed the first image in your post as a thumbnail. Always work with mine. This is George from E2046.com. saw your site today. Nice site. Here is a link to our site and banner change program. drop me an email, if you are interested in exchanging links. Heya Kumo. Mind exchanging links? your blog is already listed in my links section. Thanks. Sure ^^ Already added yours to mine. Nice site and reviews you have here. I added you to my blogroll as well. i just realized that i thought i had you linked on my site and i don’t, so i thought we might as well exchange links! I already added you to mine. Can i make friend with u?I’m a stdent/Anime&manga fan from china.there are many thing i interested in. Do u mind to link exchange with me? 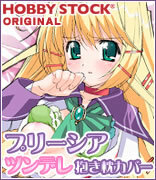 ^_^ I already put ur blog banner in my LINK page, Otakuness >> Figures section. Love the figures news! XD hehe. Which server were u in? I was in Bismarck, too bad had to take a break as well due to work. I am interested of exchanging banner, please let me know more detail about it. Thank you. Just give me the link to your banner (and your link address of course ^^; ) and I’ll have them up as soon as possible. HAHAHA~~ I started off in Odin as well before the US release( might of see you in the game before ? Asahne was my character name ), but moved to a new server and square combined that new server with a different one and became Bismarck. And 2 yeas ago I actually went back to Odin but left again back to Bismarck, orz. Would it be possible to place the banner next to Hobby stock, Hobby seach and HLJ? Thank you. Just tell (mail) me which images and what text I should use (I’m utilizing an extended tooltip plugin overlayer so a small and big one and some descriptive text is OK). Just mail me and I will mail you my banner links back. Hello there, I’m Baki from Triangler and I just want to let you know that I’ve chosen your blog for my “Blog of the Month” special. Congratulations! I am the promotion manager at otacute.com and we would like to know if you have any advertisement space on your blog. If so don t hesitate to contact me. By the way I really like your blog. hey kumo, read that you are a flash programmer. Hello Kumo, I have just added you on my blogroll! Please do add me too! Hey you want to exchange links? Awesome site! added you to my blogroll 🙂 mind exchanging links? I would like to add you into my blog. I just started 😛 Remember SG cafe Chino ? 🙂 This is my address for the blog. I’m writing to request for a link exchange between your site and ani-culture.net. A site that I and a few fews have created to further promote the anime Subculture and Singapore(and sometimes asia) based events related to anime and culture. I hope you can do a banner exchange with us, if it is possible. If not, I would like to ask for atleast a link exchange. I should have already listed your website under my link page. If you are okay with a banner exchange, use anyone of the banners listed under the page, http://ani-culture.net/links/, then please advise me on which banner you prefered to be used on Ani-culture.net. Please consider my request and I hope to get a favorable respond from you! Thank You very much! I don’t mind a banner exchange, and I have a few ready made on my “About” page. Currently I only have 200 x 40 px, so I don’t know if that suffice, but feel free to use them. Hi, I’m a big fan of wcloud and would like to link exchange. and of course add yours. I’d like to do exchange links with you. I’ve already added link to your blog in my blogroll (added this whe I start bloging in January 2010) and finally I ask you about the exchange? Hi there! I would like to do exchange links with you. I’ve already added link to your blog in my blogroll. i accidentally misspelled my name when posted my messege on you yesterday. it should be “multiseven” and not “multi”. hoping that you still have extra time to revised my name at the blogroll. I am writing from Reed Exhibitions, the organizer of Singapore Toy, Games & Comic Convention (STGCC) 2010. Please contact me so that I can furnish you with more details. I am the owner of a new french society specialized in figurine. I would like to show you our last creation and give you more details. my name is Kiralovesdogs and I own a webs website dedicated to Miku Hatsune. Hi Jon, I admin a web blog directory and I’m wondering if you would want a link exchange. Please let me know if you are interested, to send you information about my sites (avoiding spam). I’d love to exchange a link with you if you don’t mind 🙂 My site url http://mangafigures.wordpress.com . Yours already added. I would like to have a banner exchange here’s my website http://sgbizness.com. It’s a classified Ads website. Please send me your details as well if you find this favorable. Greetings! I am Kelvin , Sales & Marketing Officer of E2046.com. 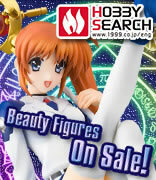 We are an online store based in Hong Kong offering a wide range of Japanese anime resin figures since 2000. Seeing your blog is a site with various figures and Gunpla contents, we would like to know if you are interested in cooperating with us. While we have an exclusive lineup of pre-painted figures, the Gathering, we would like to provide sample pictures of the kits for reviews on your site. Should you have any enquiries, please feel free to email me on kelvin@e2046.com .